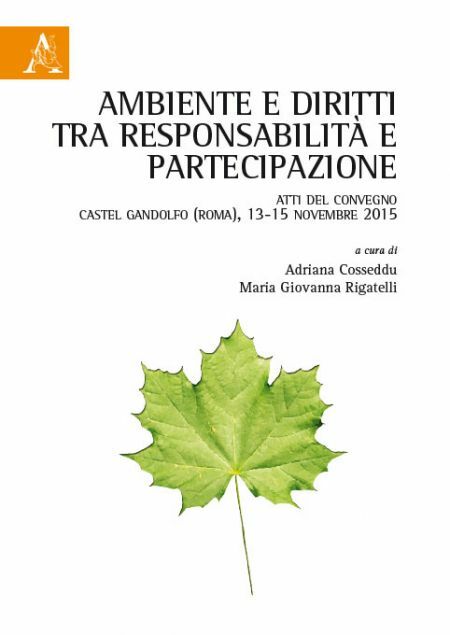 Pubblicati gli Atti del Convegno tenutosi a Castel Gandolfo dal 13 al 15 novembre 2015. L’opera è stata pubblicata ed è presente sul catalogo online Aracne . Relationships in Law: is there a place for fraternity? This short, informal publication is the product of a series of meetings which took place over the course of four years in Rome at the initiative of a group of lawyers and scholars searching for a stronger connection between deeply held values and their professional lives. In the midst of the tensions that legal professionals often face, these regular meetings helped them to discover new ways to overcome challenges and to strengthen their determination even in the face of difficult choices. In an atmosphere of respect and attention, each participant was able to share his or her own experiences, to communicate the inspiration for his or her professional commitment, and find new enthusiasm to live these principles in the circumstances of daily life. A second volume in the “Communion & Law” series collects the reflections and experiences of people who are committed to professional decision making in light of Gospel values.